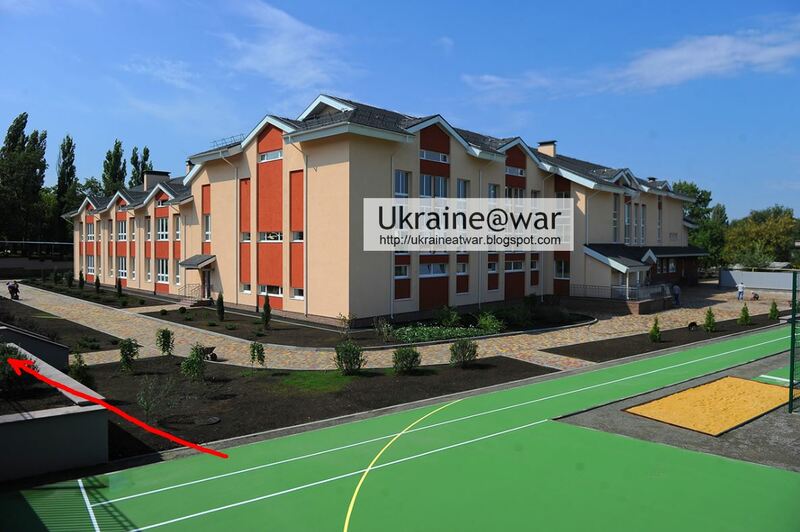 Putin@war: Strange impact near School 63 proof that Ukraine fired it? Strange impact near School 63 proof that Ukraine fired it? The video is uploaded on November 6th, while the incident happened on November 5th. 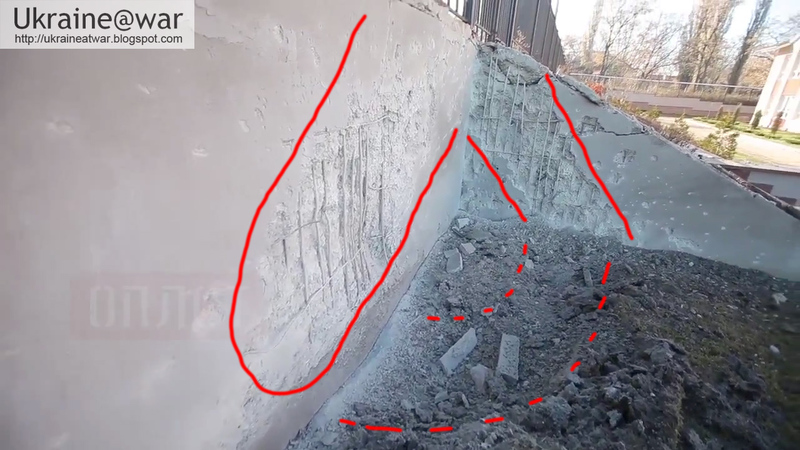 And when you have a good look at the ground, it is not one big hole, but more like a slot connected with the damage on the stair-wall. As such it looks like something exploded against the wall and the shrapnel reflected by the wall hit the ground and the stair-wall. But how could a mortar shell hit the wall and get detonated like that? The ignition is in its tip, that needs to hit something. And how can such an UPWARD facing blast-pattern have been created by a shell that comes DOWN with high speed hitting the wall? One would expect the blast to face more downward? So the question rises: could something have been shot UPWARDS hitting the wall? The third screenshot above shows that this area is ELEVATED. The stair goes further down indeed. It means somebody COULD have been standing at a lower level, aiming at the wall that is higher and thus aiming upwards. But to be sure, we would need some INDEPENDENT OSCE monitors to assess the location, make high res PHOTOGRAPHS, take samples and determine what fragments are there and what caused this. Remember how they wrote that they had examined TEN craters of which FOUR were created by 122 mm mortar shells and TWO by 122mm artillery rounds? So it means they were not able to determine the other 4... Maybe some were created by something else? Maybe this one was a grenade? Why is OSCE not A LOT more specific? If this was caused by a grenade, when would this have been done? The point is that this video has been uploaded on November 6th. This is AFTER I published my initial report which has been ALL OVER the Ukrainian media. 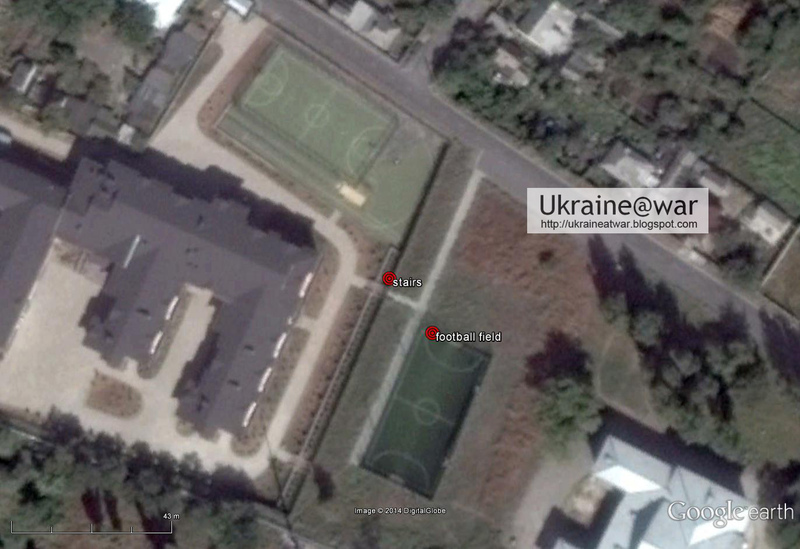 OSCE visited the site at november 6th and 7th. None of the earlier videos show this impact. The video specifically starts with this impact and then also shows the first one to establish the relation with that. 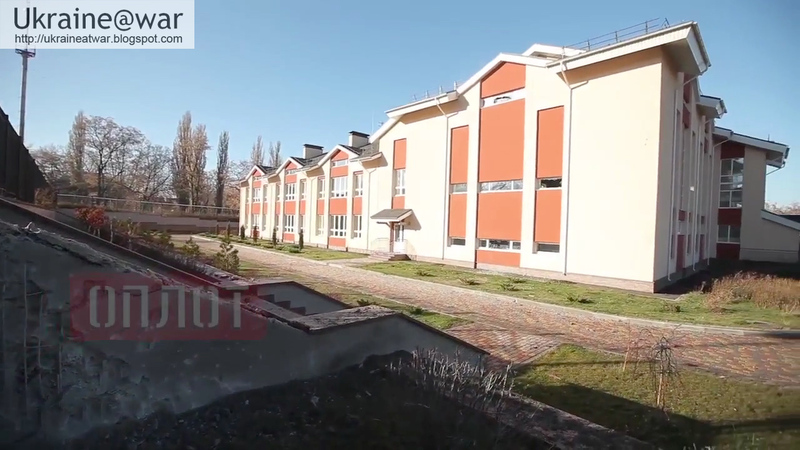 The building shows some damage which IS visible on the first video, but these smashed windows may also have been caused by the explosion at the football field. But... if we suppose that it WAS a shell that hit the ground, from what direction could it have come? The lower red line is the one slightly across the wall. 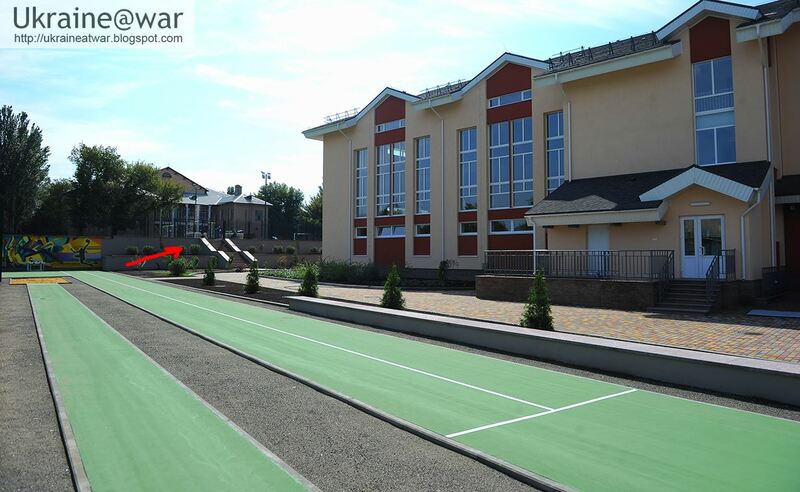 The upper red line is the one alongside the wall. 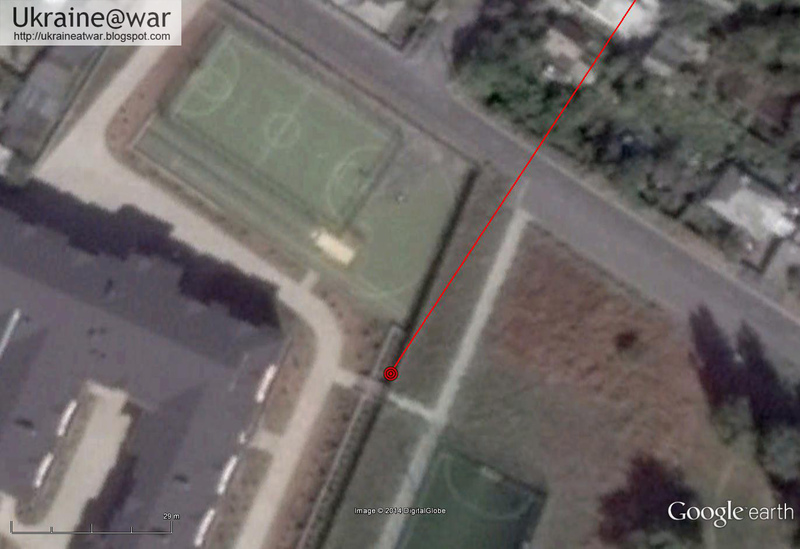 These lines are the outermost EASTERN border from where this shell could have been fired. Or it has been fired from more to the West. Yes, most of that territory is in Ukrainian control. But not all. 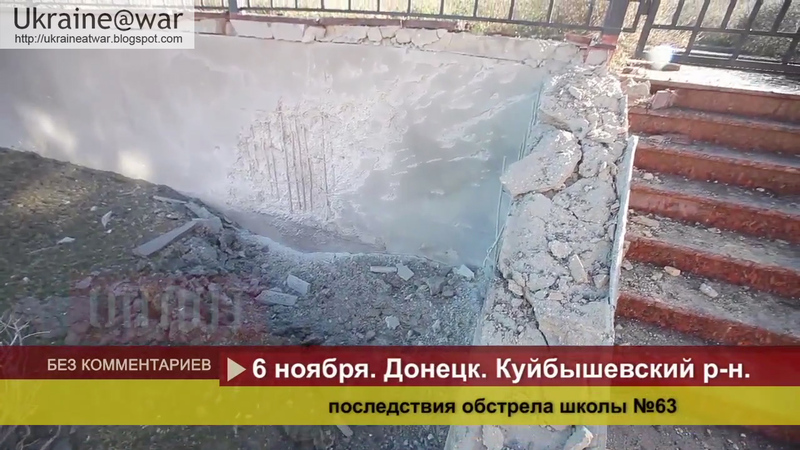 It means the shell COULD have been fired from Russian controlled area. Yes, that is close to the frontline. But if they can fire a shell TOWARDS the Ukrainian army from the front line, then they can fire it into Donetsk as well from there. 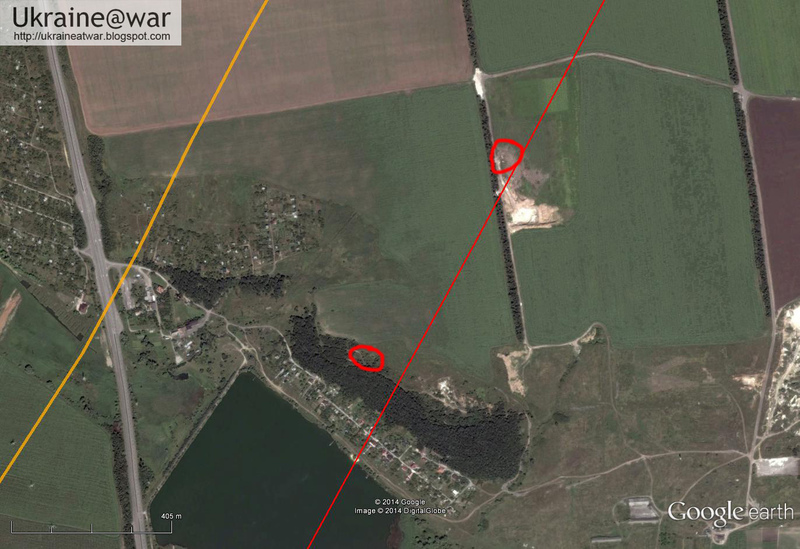 BUT... they can fire from the airport too, or from the VOSTOK trenches just before Pisky, which is NW from the school... (red encircled area). What does that mean? It means it has been a COORDINATED attack with several 'sources' involved. And they all fire INTO THE SAME AREA... That means this area has been CHOOSEN, PREDETERMINED. Different ordinances had to be set up, aimed, and fired almost simultaneously (within a period of a couple of minutes). It was NOT a random attack! 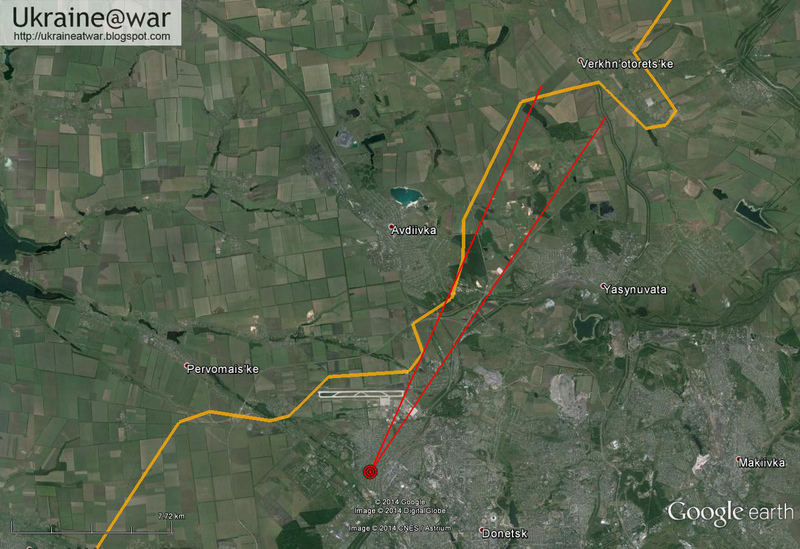 In the first blog about this, it is already clear that one shot came from the Russian side. It means this one was ALSO fired by the Russians. 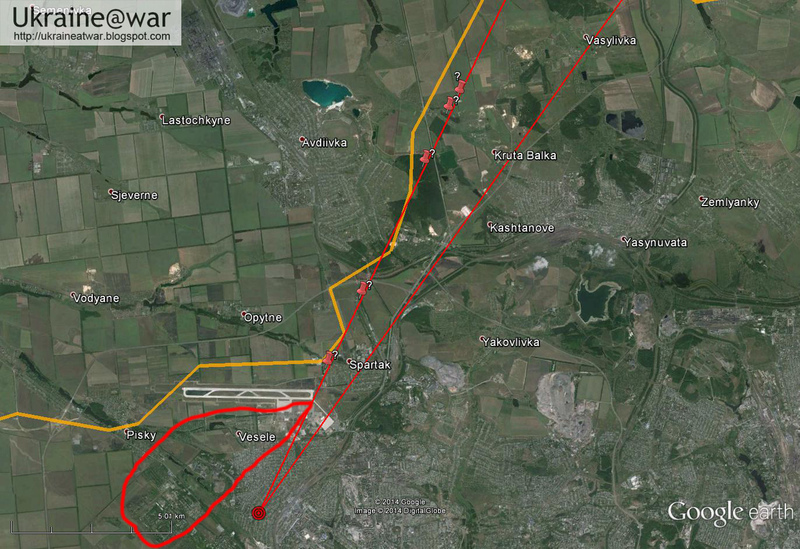 And it is no problem for them at all to fire close from the front-line TO MAKE IT LOOK LIKE it was fired by Ukraine. There is not a small possibility that this 'new' impact is a setup, created after the incident. 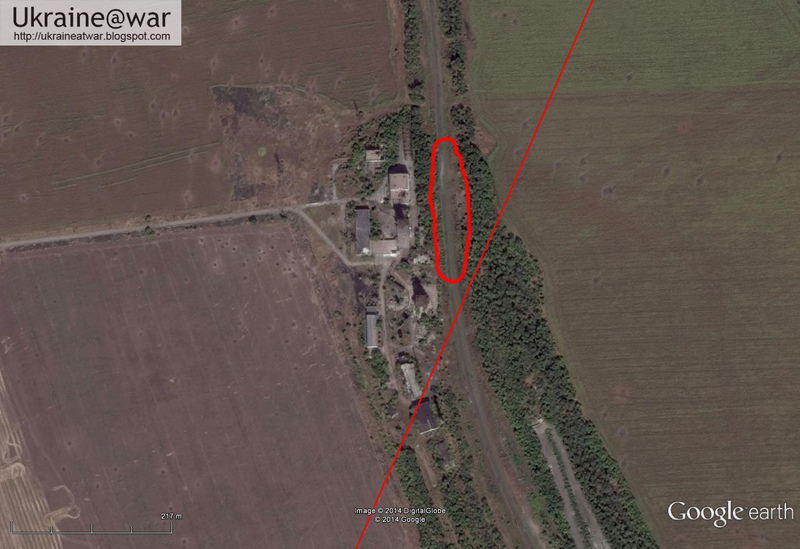 But even if it is not, there is NO proof at all this shot was fired by the Ukrainian army. Not even if it DID come from the NorthWest. Since it was a deliberate, coordinated attack with multiple ordinances involved it must have been fired by ONE side only. 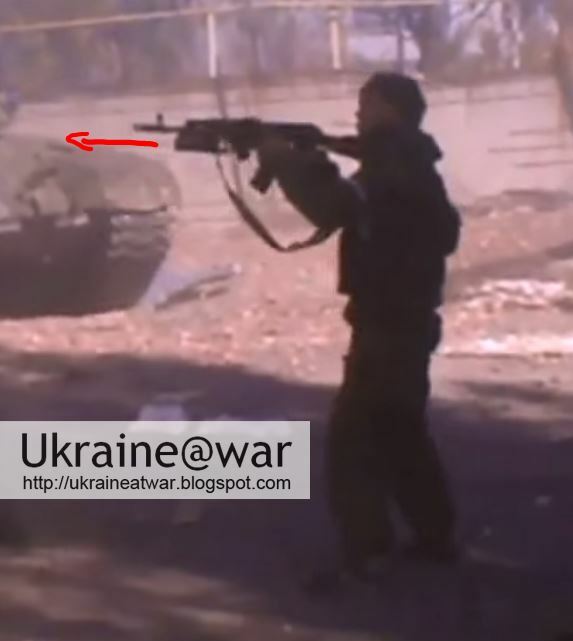 Since the other shell clearly came from Russian side, this one is fired by them too.